We warmly welcome you to join us on our holidays! Please be assured that we take great care to ensure that you will be well looked after. We are particularly concerned to meet any dietary needs and our booking forms include space for you to tell us about this, and we will additionally be happy to discuss any concerns personally. Please note in particular points 1,2, 3 and 15 on the Conditions of Booking. They deal with cancellations and insurance matters! A deposit of £25 is required for each holiday, together with a completed booking form. The balance is due 4 weeks prior to the commencement of the holiday. For bookings made less than 4 weeks before the start of a holiday, payment in full is required. 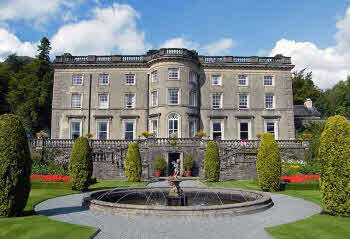 Rydal Hall, Ambleside in the Lake District. Set in over 30 acres of garden, woodland and natural beauty, with wonderful views over the Rothay valley and with the Fairfield Horseshoe and Nab Scar as a backdrop. 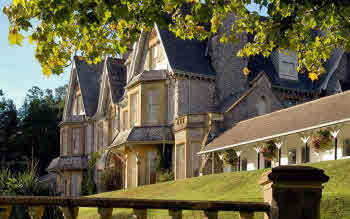 Brunel Manor in South Devon. 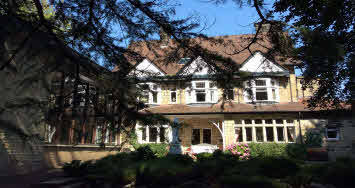 Set in tranquil surroundings, a magnificent location, excellent food and comprehensive facilities. Situated in the midst of Brunel’s historic woodland sanctuary, the Manor commands a prime position on the English Riviera and is adjacent to the awe-inspiring rugged beauty of Dartmoor and the spectacular coastline. Set in an area of outstanding beauty in the lovely town of Ilkley. A Deposit of £25 is required for each holiday, with the balance payable by four weeks before the start of the holiday, booking forms and booking conditions can be downloaded from our website. Please note that guests are solely responsible for their own travel arrangements to and from the venues.